It may seem obvious that business growth can only occur when there is money available for re-investment. 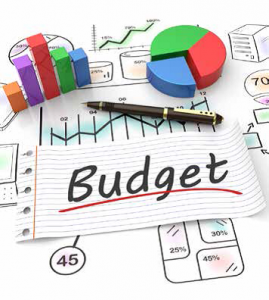 However, many businesses do not consider this when budgeting and planning their long term finances. One of the biggest impediments to growth is access to finances that will fuel the investments that are needed to support growth. Therefore, it is important that a business obtains healthy and robust profit margins to prepare for any future expansions. If a business is planning to fund investment in its own infrastructure it will only be able to do so with appropriate profit margins. Without this the firm may have to raise funds through the sale of equity, or borrow funds in order to grow. With more data to process through increased transactions there must be sufficient finances to fund the necessary support systems. These include financial, logistics, quality control, human resources, customer relationships management, complaints handling and asset tracking. These new systems also require staff training which similarly costs money. The time it takes to train staff will have an impact on the cash flow of the business. This training will be necessary as new products or operating systems come into play with business growth. Furthermore, in adopting and/or inventing new products for sale, new marketing operations will need to be implemented. Surplus cash can help firms to counter aggressive marketing, meet competitive product changes or undertake competitive pricing. The ability to absorb mistakes, evaluate what went wrong and identify solutions can mean the difference between complete failure and just a bump in the road. Rather than having to instantly cut back or take drastic action, the firm with a cash buffer can re-enter the market with a renewed approach. Therefore, even without any immediate prospects of business growth it is wise to implement strategies from day one of business operations that account for the future. After all, growth does not come from standing still.